Lugarde Prima Rianne: The Lugarde Prima Rianne Summer House is part of the Lugarde Oval Summer House range. 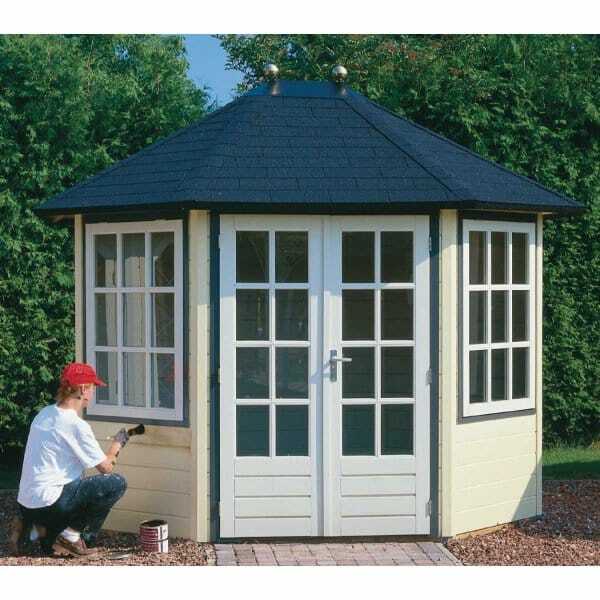 As a smaller Extended Octagonal Summerhouse it is attractive whilst retaining a spacious feel. The Extended Octagonal range is ideal for positioning as either a central feature or as a discreet hide-away in the corner of the garden.